Here comes the latest kit member Tesla family—Tesla Invader 4X VV Box Starter Kit, which is a powerful and light-weight TC kit. 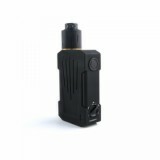 The cooperation of Invader 4X Mod and Invader 4X RDA comes into Tesla Invader 4X Kit. 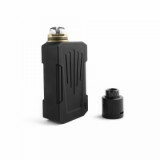 Powered by dual 18650 batteries, the Invader 4X Mod can reach up to max 280W. 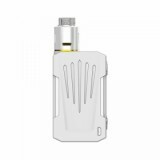 5-level adjustable voltages are available for you to meet different vaping demand of yours. A color changing LED indicator will help you know clearly about the status of the device. The Invader 4X atomizer adopts adjustable airflow control system, which will enhance the flavor for your vaping. 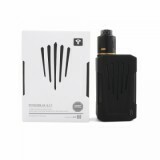 Come and get one Tesla Invader 4X VV Box Starter Kit and enjoy your vaping. 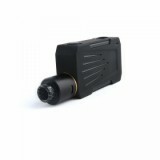 • No battery inside, you can buy 18650 battery in BuyBest. • Tesla Invader 4X Box MOD is available in BuyBest. 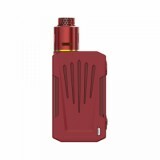 • You may have interest in other Kit like IJOY RDTA BOX Full Kit. I used a $8 gift card, happy shopping. The shipping speed is amazing. Sooo fast to Moldova, the singapore airmail is great. Would buy again. The kit works great, I'd take it everyday. Trusted seller. The tesla kit is original. Affordable Tesla Invader 4X, love it. Like the flash sale items, really bargains.